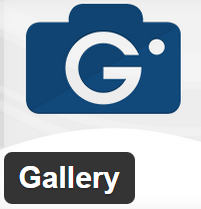 This Photo-Gallery is a nice basic starting point to build a gallery. But just like a lot of plugins these days, the ‘lite’ or ‘free’ version you can use without payment has some limitations. For me, the mayor limitation was the lack of options to customize its looks: the theme. Luckily, after studying the plugin in more detail, I found that it’s themes are stored in the database. You can not add more themes (unless you get the paid version), but you can customize the theme that is stored in the database.